Our new ship "ABN Rajmahal", nearing completion in Kolkata, enters service on the Hugli and the Ganges in February 2014. She is 50m long, is powered by 3 engines, and with extra-shallow draught and a lower profile than conventional designs she can cruise further upstream than any of her competitors.There are 22 cabins in all, 14 spacious twin/double cabins on the upper deck and 4 twin/double cabins on the main deck, together with 4 single cabins for which we charge no supplement. All cabins have French balconies. The décor is stylish and fresh, with touches of colonial elegance, and uses handblocked cotton fabrics of traditional Indian-inspired designs. As with the other ships in our fleet, there is a comfortable saloon and bar and a dining room, together with a vast canopied sundeck. A small spa offers a wide range of treatments. All cabins and public rooms on our ships are air-conditioned. 7 Night Cruise sailing from Calcutta to Farakka abard ABN Rajmahal. 8 Night Cruise sailing from Farraka to Patna aboard ABN Rajmahal. 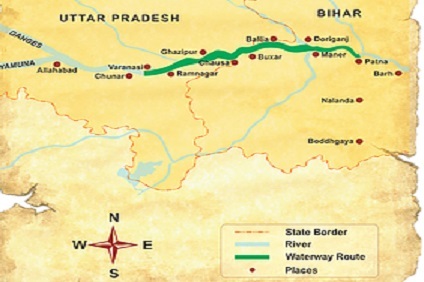 7 Night Cruise sailing from Patna to Varanasi aboard ABN Rajmahal. 7 Night Cruise sailing from Varanasi to Patna aboard ABN Rajmahal. 6 Night Cruise sailing from Patna to Farakka aboard ABN Rajmahal. 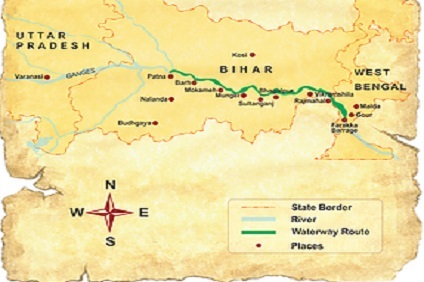 7 Night Cruise sailing from Farraka to Calcutta aboard ABN Rajmahal. 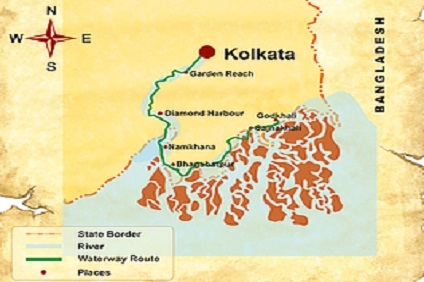 3 Night Cruise sailing from Kolkata to Godkhali aboard ABN Rajmahal. 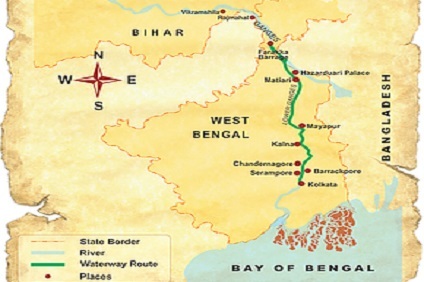 4 Night Cruise sailing from Godkhali to Kolkata aboard ABN Rajmahal. 14 spacious twin/double cabins on the upper deck all cabins have French balconies. The décor is stylish and fresh, with touches of colonial elegance, and uses handblocked cotton fabrics of traditional Indian-inspired designs. As with the other ships in our fleet, there is a comfortable saloon and bar and a dining room, together with a vast canopied sundeck. A small spa offers a wide range of treatments. All cabins and public rooms on our ships are air-conditioned. 4 twin/double cabins on the main deck all cabins have French balconies. The décor is stylish and fresh, with touches of colonial elegance, and uses handblocked cotton fabrics of traditional Indian-inspired designs. As with the other ships in our fleet, there is a comfortable saloon and bar and a dining room, together with a vast canopied sundeck. A small spa offers a wide range of treatments. All cabins and public rooms on our ships are air-conditioned. 4 single cabins for which we charge no supplement. All cabins have French balconies. The décor is stylish and fresh, with touches of colonial elegance, and uses handblocked cotton fabrics of traditional Indian-inspired designs. As with the other ships in our fleet, there is a comfortable saloon and bar and a dining room, together with a vast canopied sundeck. A small spa offers a wide range of treatments. All cabins and public rooms on our ships are air-conditioned.